We all want to switch off over Easter and escape our daily routine, but the associated costs of holidays sometimes outweighs our desire. This doesn't have to be the case - embrace the imaginative and you'll have an exciting, budget-friendly holiday at your fingertips! Follow a new route without the price tag with the help of the adventure experts from OZtrail who have compiled a list of the three best (and most affordable) holidays on our SEQ doorstep. Despite being on our doorstep, many Brisbane locals are unaware of the various islands located just a hop, skip, and a jump away. 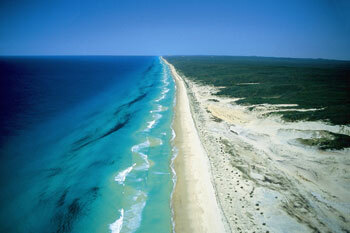 One of these picturesque destinations making visitors feel a million miles away is Fraser Island. Known as the world's largest sand island, Fraser is hallowed with gorgeous blue waters and captivates visitors with its ancient history, native wildlife and laidback lifestyle. With unforgettable experiences across its 124 kilometre stretch, including unique 4WD tours and diving into the expansive Lake McKenzie, there's plenty to see and do under the sun. We recommend making the most of your time by packing a compact gazebo for shade and a few RV chairs for ultimate comfort, ensuring you've got your oceanfront downtime covered no matter where you choose to stop on the beach. Whether you're drawn to the sounds of the ocean or the ruggedness of the wilderness, one of the top benefits of camping is the low price tag. Nothing beats waking up surrounded by nature and having the luxury to enjoy its beauty and explore hidden nooks all day long. If you're feeling beach-bound, you can't go past the camping grounds at Noosa North Shore that offer the opportunity to wake up to the sound of crashing waves right on the beach! What's better than trading your morning shower for a dip in the ocean?! If the lush rolling hills of the hinterland is more your style, we've got you covered there too. Look no further than Beerburrum and Beerwah State Forests. Pitch a tent at one of the Coochin Creek mountain areas and take advantage of the exotic pine plantations, open eucalypt forests, and magnificent views of the Glass House Mountains. To guarantee a seamless holiday, we recommend stocking up on plenty of food and ensuring it stays fresh by storing it in a cooler. There are also no BBQ facilities so you'll want to pack your own Outback Cooker so that you can cook up a bush tucker feast! Escaping the big city lights is the best way to get that much-needed break from the daily hustle. So pack your bags and hit the open road. Revel in the countless routes and savour the opportunity to determine your movements on a whim and explore hidden gems you stumble across along the way. 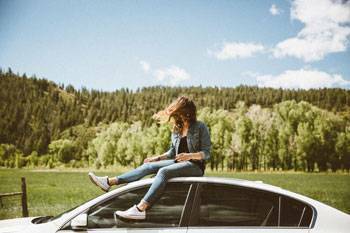 Depending on how much time you have up your sleeve you can drive from coast to coast, park at a national park and marvel in the rewards of a hike, rope in a designated driver and savour the flavours of a wine tour, or get lost amongst fields of sunflowers. Whatever your preference, make sure you account for rest stops in advance. To avoid any hiccups, make sure you know the exact location of each stop and the facilities available. We recommend packing for the trip with Galaxy chairs, insect-proof swags, and plenty of toilet paper! Not sure what essentials you'll need for your bespoke trip? Ask the outback adventure experts at www.oztrail.com.au!